The idea of bringing your dog with you on your outdoor activities such as trekking, hiking, and walking is actually exciting and tempting. But, you need to consider that your beloved furry buddy has his own necessities and bringing them with you is more of a hassle. Why not let your domesticated buddy bring his own stuff or even allow him to carry your valuables? Yes, it’s possible! Along with the implementation of the amended rule that only allows dogs to ride on trains if they’re inside a bag or being carried by their owner, the demand for dog bag packs increased. The concept of putting your dog in his own bag led to the development of bag packs that do not only hold your dog securely but provide enough storage space for you and your dog’s essentials. The features continuously progress into a convertible harness bag with rear leash support, even compatible with retractable dog leashes. Dog backpacks also conform to social transformation, variety, and versatility. As a matter of fact, the back pack may come in traditional style, infant style front carries or better known as the crate, and the saddle bag type. Let us find out the rest of the available types of dog backpacks and what they’re made for. Framed Backpack Dog Carriers – A stylish way of carrying your furry pet while ensuring his comfort, that’s what the framed backpack has to offer. It uses the same concept as the usual trolley bag except that it is smaller, doesn’t have wheels and has an opening for continuous air flow. It consists of a pack with an integrated aluminum attachment that serves as a frame. 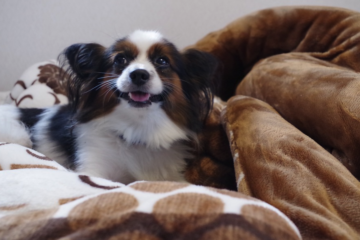 It provides enough space for either large or small breed dogs and can carry up to 20-25 lbs. The Soft Side Dog Carrier Backpack – Derived from the concept of the normal backpack, the soft side dog carrier has padded bottoms, providing optimum comfort and meshed sides for enhanced ventilation. It allows the air to continuously flow in and out. Despite the absence of aluminum frame support, the soft meshed sides provide comfort from all the movements incurred when walking. The most noticeable drawback of this type of backpacks is the limited space it provides; thus, it is not recommended for medium and large breed dogs unless you’re carrying a pup. If you have an active and aggressive dog, then this may not be suitable for you. Better find a backpack that has a leash mounted hook where you can attach your dog’s harness for added security. 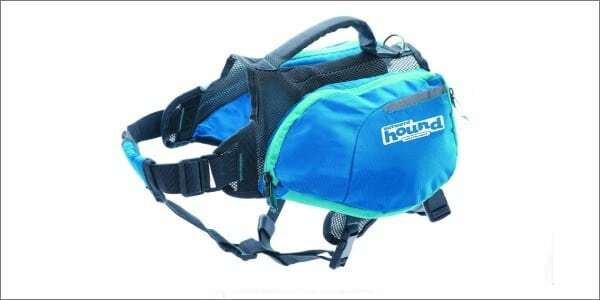 Front Carry Dog Backpack – This is worn in front just like the normal infant carrier. Secured with straps that encompass the front torso, the front carry dog backpack allows you to keep an eye on your dog’s movements. The only drawback of this product is that it can only accommodate small sized dogs and even if they fit the backpack, the question is, can you carry another pound of weight for miles? 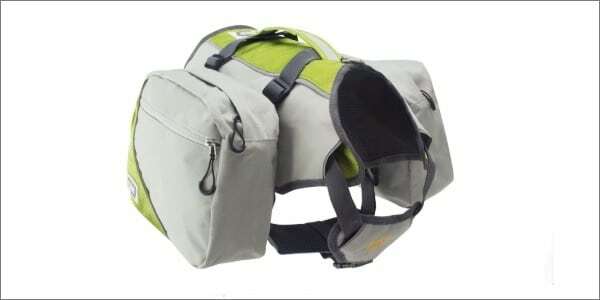 The “Crate” Dog Backpack – The crate is a box type carrier with vented soft sides. It promotes comfort and breathability. This is a great alternative for active pets that are uncomfortable in mingling with people and inexperienced in open areas. Hiking Backpacks or Daypacks – Unlike the aforementioned types of backpacks, this is not carried by the owner. This is attached to the dog’s body, specifically from the neck down to the torso, and is fastened through a set of detachable clips. A daypack has different pockets and pouches where you may store your valuables and other essentials and is kept well-fitted to the dog’s body through adjustable straps. Other brands have an added leash hook intended for active pulling dogs. Looking for something when your dogs just to tired to walk? Try a pet stroller. 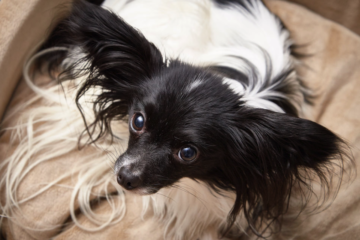 Can Dogs Catch a Cold If Outside for Too Long? Back packs provide numerous advantages to your dog’s mental, physical and social health. Below is a list of the major benefits that dog back packs offer. Dogs are naturally active animals, thanks to their bloodline and relation to wolves. They are biologically hunters, and their common lifestyle and food tend to store up pent up energy in their system and if unreleased, it will make them restless. 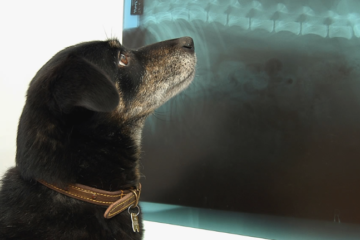 Have you ever wonder why your dogs bark unreasonably, chew, jump, whine, and run intensely? It is because they have more than enough energy in their body, and their mind tells them to expel it in different ways. Giving them a weighted backpack will help them expel their stored energy without altering your daily routine. You can let your dog tag along on your daily jogging or walking routine with a weighted backpack attached to them. This will maximize the energy released; a 20-minute walk with their backpacks on is like a 40-minute walk. Give them a backpack job! Dogs need something to keep them busy. Domesticated dogs lose their purpose after a long run since they have everything they need served on a silver platter. Remember, dogs are natural hunters and that’s what they do – hunt for food. So once they don’t have a job to do, they start doing unimpressive stuff such as chewing your shoes, scratching your wood tile, digging holes in your yard, etc. Giving them a backpack gives them something to focus on. They feel the urge and need to protect the thing attached to them. Some dog owners notice that their dogs tend to sit up higher and walk taller to keep the pack from touching the ground. Back packs can help dogs with their chasing habits. Once you put the pack on his body, his mind will immediately send him a message to focus, and not to drop it. So instead of wildly chasing your neighbor or another dog, he will mind his own back and eventually learn the manner of behaving. The concept is to teach them with something interesting and giving them something to do that would expel their pent up energy. If you’re going to go on an adventure-filled day, then teach your dog to handle responsibility such as carrying his own stuff and necessities. This will train them, enhances their focus while walking, improves their balancing skills and tones their muscles and bones. Another perk of giving your dog his own back pack is that you’ll have lesser weight to carry which gives you more time to monitor his actions, control the path the path he takes and look after possible wildlife that may harm your furry hiking buddy. The task of carrying his own back pack could be a form of training for him. Allowing him to go with you on your adventures is his prize for being a well-behaved dog. Before putting weights on your dog’s back pack, you need to find out the recommended weight that he could carry. The amount of weight allowed for a dog varies, depending on age, breed, and size. Your dog should only carry 10 to 12 % of his total body weight, but you need to reconsider his health status and energy levels. Always start with a small amount of weight, then slowly increase the backpack’s weight. It may be useful to put water bottles in his backpack or other things such as bags of sand, books, etc. But make sure to balance the weight on both sides to protect your dog’s backbone and posture. For pulling dogs, choose a backpack with mounted leash hook for extra support, in case your dog starts to chase something or runs away. You may turn your domesticated pet into a hiking and walking buddy with the Outward Hound backpack. It securely holds both you and your dog’s essentials, while keeping him well ventilated with its mesh material that covers the base of the Daypack. 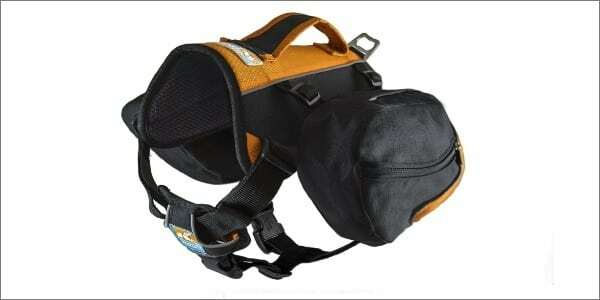 It allows continuous airflow, giving your dog a breathable feel while on a long trek. It has integrated adjustable straps that keep the pack secured in its right position, while allowing your dog to move freely without distractions and inhibitions. Plus, its reflective piping design adds versatility and enhanced visibility on your dog’s track day and night. Crafted with expandable pockets, Outward Hound DayPak is designed to store your valuables and other necessities for the day’s activities, while providing your dog with comfortable and worry-free walking. • DayPak has 3 size options – small, medium, and large; there’s an option that will fit your furry hiking buddy. • Comes in 3 different vibrant colors such as blue, green and crest stone explore. • Some reviewers stated their disappointment with the bag’s non-removable packs which make it difficult to wash and clean. • Other complaints were directed to the bag’s non-impressive sewing system. • Most critical reviews include sizing issues; measure your dog’s body before buying. The backpack features 2 custom-fit saddlebags that were strategically designed to provide enough room for wide range mobility, while keeping the bag secured and in place. Its pockets can accommodate your trek essentials and the Baxter size can store up to 3.75 liters. The Big Baxter can accommodate up to 7.5 L of weight. Featuring Kurgo’s quirky adjustable saddlebag profile, Kurgo Baxter may fit all dog sizes – from small to large breeds. You can monitor your dog from different angles with its four reflective trim strips design that enhances visibility. Its available Rear Mounted Leash Hook with large handles provides extra control, especially made for your large breed pulling dogs who love to wander and play chase. • Its 2 saddlebags can accommodate larger quantity of valuables. • It has available rear mounted leash hook and large handles for added control. • The backpack is available in two adjustable sizes: 30-85lbs. and 50-110lbs. and it also comes in 2 different colors: barn red and a combination of black and orange. 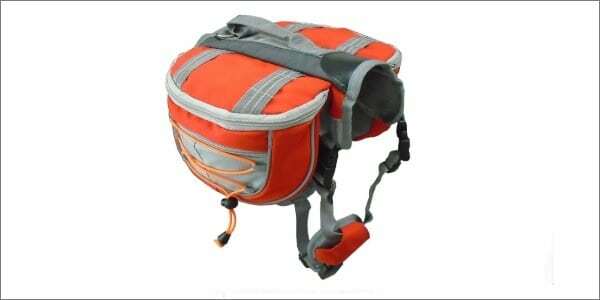 • The forward zip zipper system has a propensity to unzip in the midst of your trekking activities. • There are complaints about the adjustment straps that are difficult to maneuver. • Some users find the stitching system faulty. Featuring its large storage capacity, the Belo Luna Backpack has 4 storage pockets, two of which are large sized and were smartly customized to accommodate a larger capacity – a perfect match for you and your dog’s essentials. Its padded mesh material that encompasses the whole base area provides a comfortable fit, enhanced breathability, and improved air flow, while the padding inhibits fur chapping and tangling. It has integrated adjustable straps that you can set to perfectly fit your dog’s size without inhibiting its range of motion for a comfortable and enjoyable adventure of trekking and hiking. The Bello Luna Backpack has a robust and durable harness made from top-notch synthetic material and five attachment points for balanced weight distribution, so you don’t have to worry about letting your dog carry excess pounds and straining their muscles. These attachment points are easy to unbuckle and detach from your dog’s body after the day’s activity or during rest/break time. • Padded mesh base material promotes optimum breathability and comfort. • 4 storage pocket including 2 large pockets enhance storage capacity. • It has a durable harness and 5 easy to lock/unlock attachment points. • There are complaints about size incompatibility; make sure to measure your dog’s size before buying. • It comes in orange and gray color tones only. According to buyers, it would have been better if there were other color options. • Some buyers were disappointed with the absence of a rear mounted leash hook for large puller dogs. FrontPet added versatility to their Explore Backpack with the detachable pannier saddle bag that allows pet owners to use the bag as a harness, a backpack or both. The backpack is crafted from top grade rip stop material, smartly profiled components, and strengthened construction to keep the backpack in place, secure its contents, and lengthen its usability. It features a double padded mesh material that covers the entire base. It allows continuous air flow for enhanced breathability even during arduous outdoor activities. The padding increases comfort and acts as shock and impact absorber whenever you pass by a hump or bumps along the way. Each saddle bag is strategically profiled to provide larger storage capacity for your day’s essentials; this helps you achieve a safe and fun-filled bonding activity with your dog. To accommodate all breeds and sizes, FrontPet manufactured Explorer with a fully adjustable neck, side and rear straps that allow you to get the perfect fit for your dog’s size. • It is a versatile saddle bag that you may use as harness, backpack or both. • The backpack was made using quality rip stop material for enhanced durability. • It is equipped with adjustable straps and larger saddle bags for larger storage capacity. • Some customers were disappointed with the bag’s inadequate seams stitching. • There were complaints about the adjustable straps’ inability to hold well. • The bag is okay for lightweight dogs but rips easily when used on larger dogs. 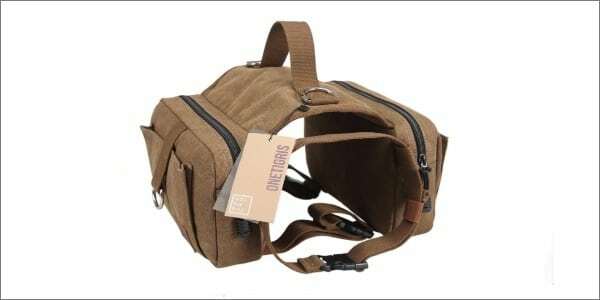 OneTigris Dog Pack is designed using a vintage concept and is crafted with a brown colored profile, making your pet look stylish and fabulous. Its color keeps the dirt invisible so your dog will always look good even after a day of fun-filled and adventurous activities. Crafted using high density cotton canvas, OneTigris provides a secure hold without irritating your pet’s skin and damaging his fur. The cotton material promotes comfort. It is also smartly designed with main zipper pockets, 2 on each side, and reasonably spacious pouches that provide enough room for all your valuables and essentials for the day’s trip. • Color hides the dirt and enhances your dog’s fashion style. • Cotton canvas material secures your dog while protecting his fur and coat. • It has a large storage space; 2 zipper pockets with extra pouches. • Some customers said that the size is bigger than advertised. • Some reviewers stated that the stitches fell apart after several uses. • Other customers were disappointed as the straps were ripped and zippers broke after a few days.